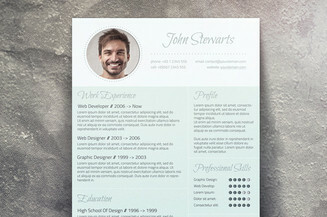 If you love pink then this eye-catching CV template is the perfect design that you need for your next job application. 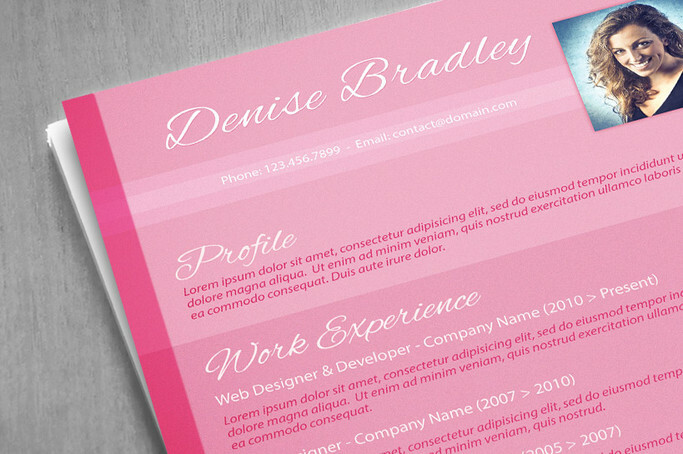 Not only does it have a pink-edged theme that adds a feminine touch but it also has a sleek and trendy design while still maintaining a professional attitude. 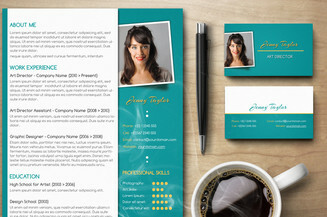 So give your document a much-needed transformation and standout from the crowd. 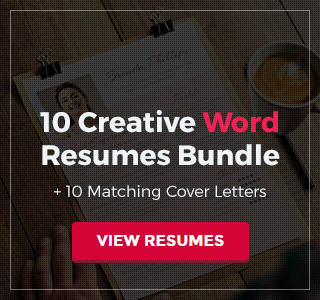 This is a unique and vibrant way to get noticed by potential employers! You can easily add your own picture into the document (Smart Object). 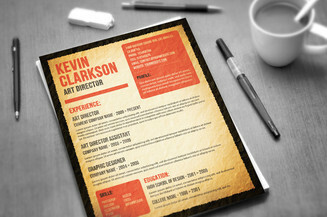 You only have around 10 seconds to impress recruiters with your CV. If you fail to get noticed within this short period, your resume will probably end up in the trash. © 2014. SpicyResumes. All right reserved.